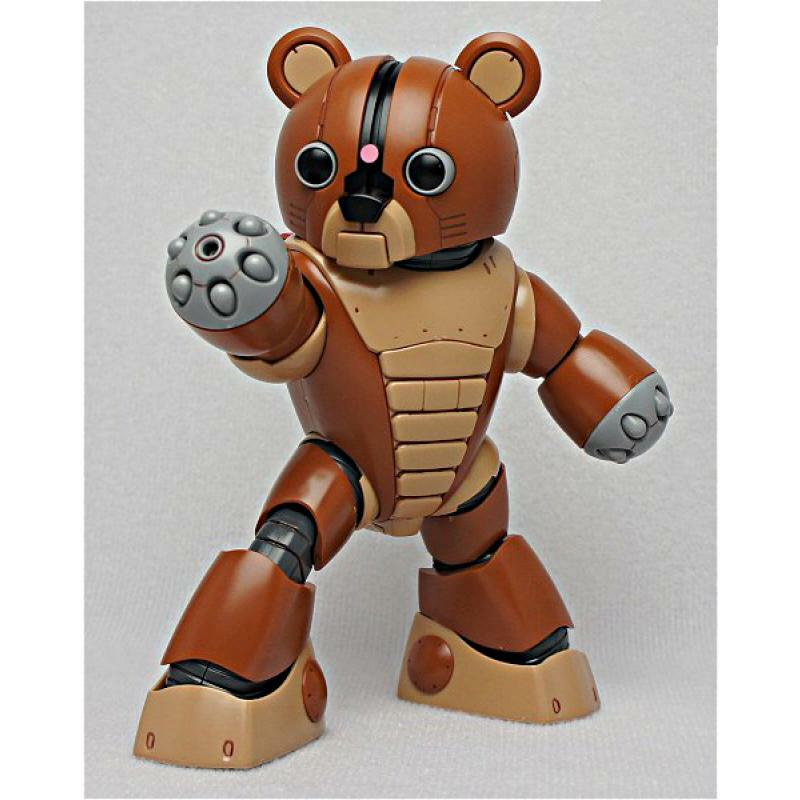 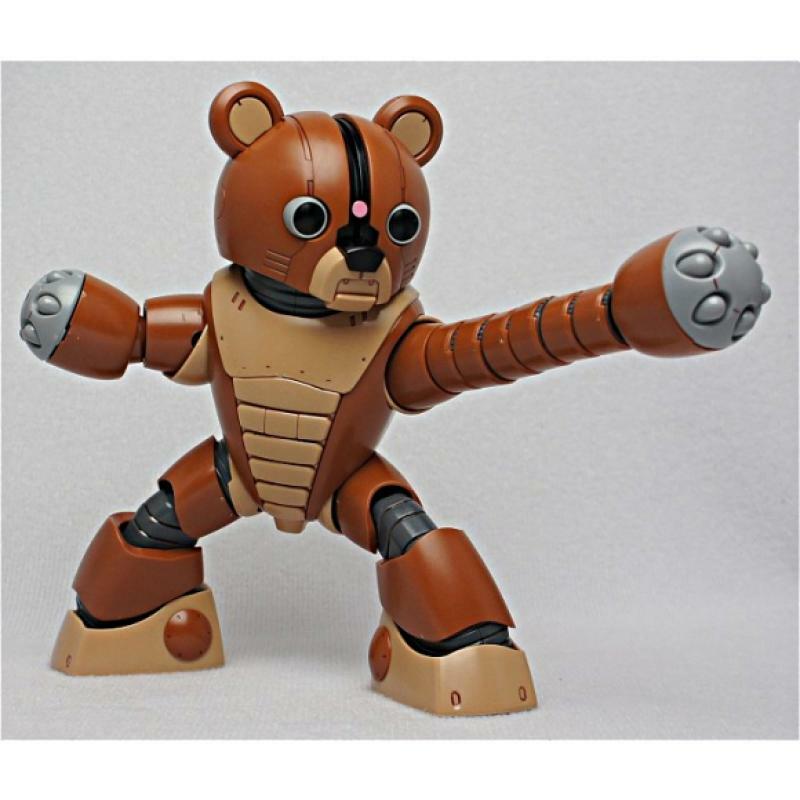 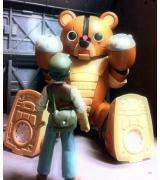 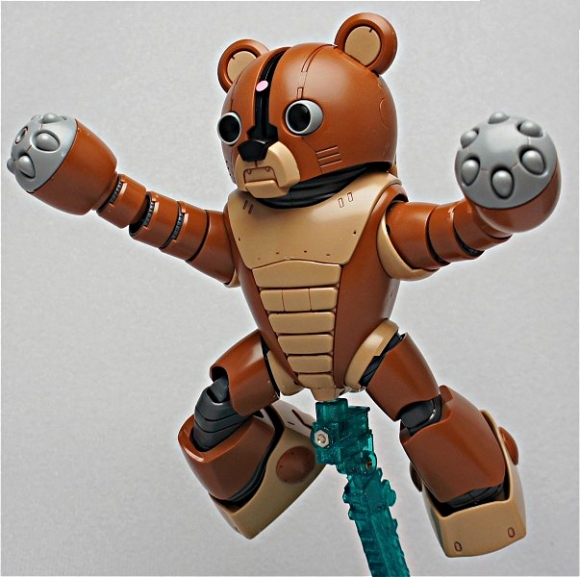 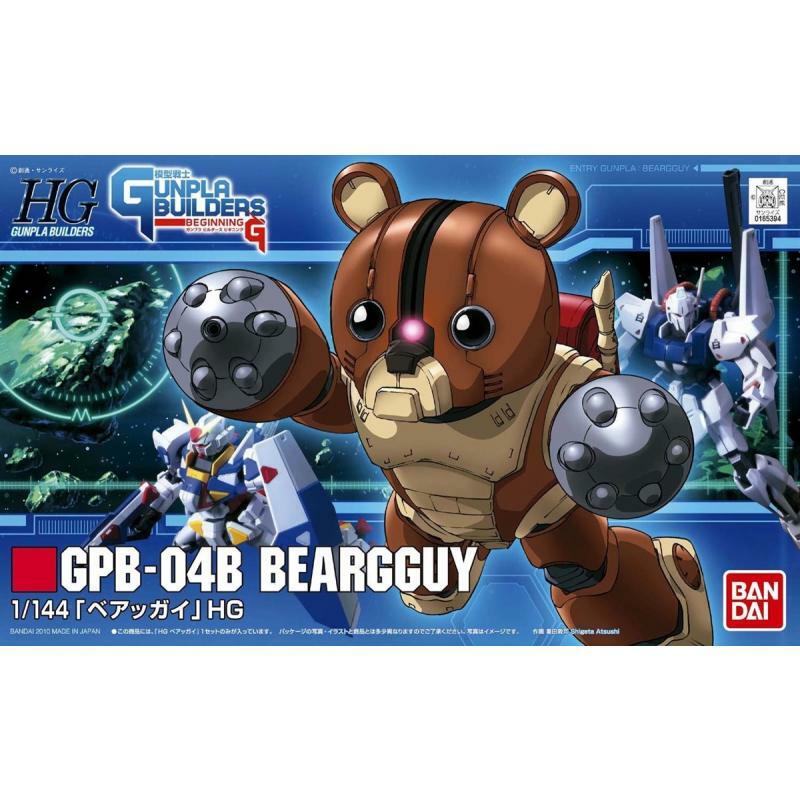 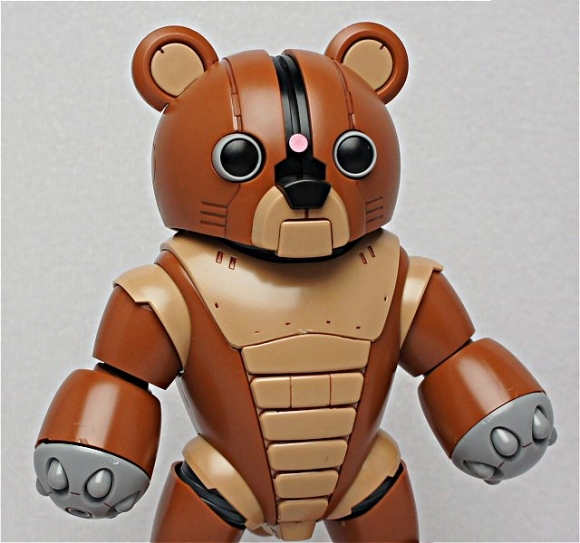 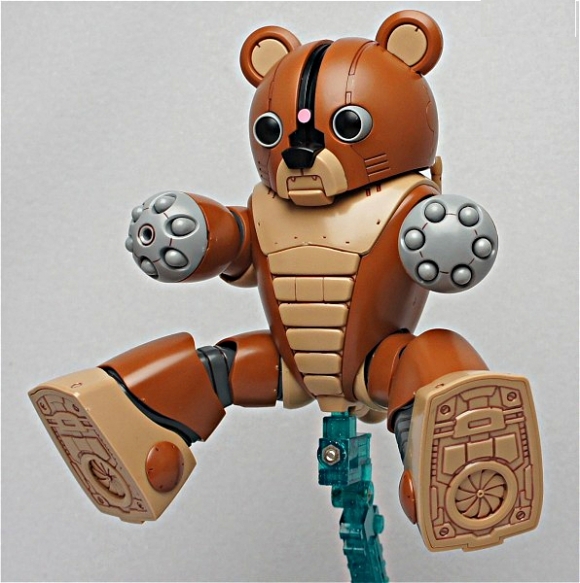 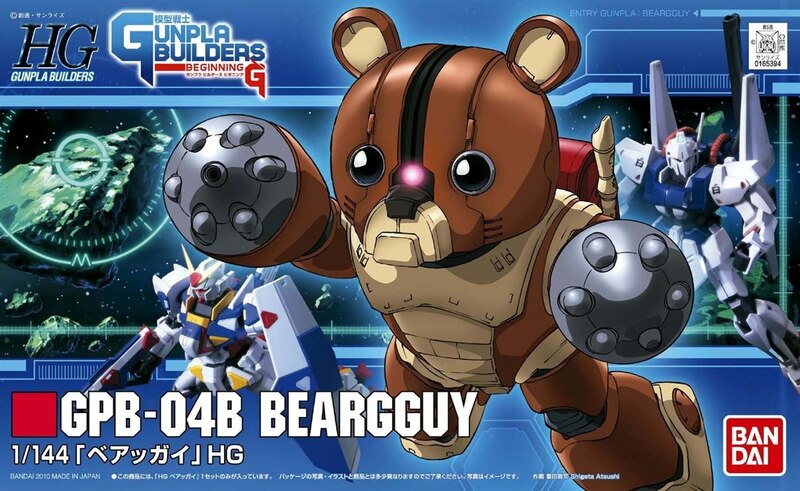 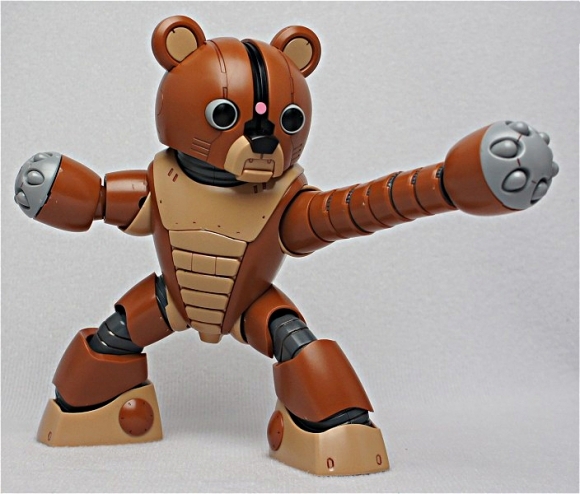 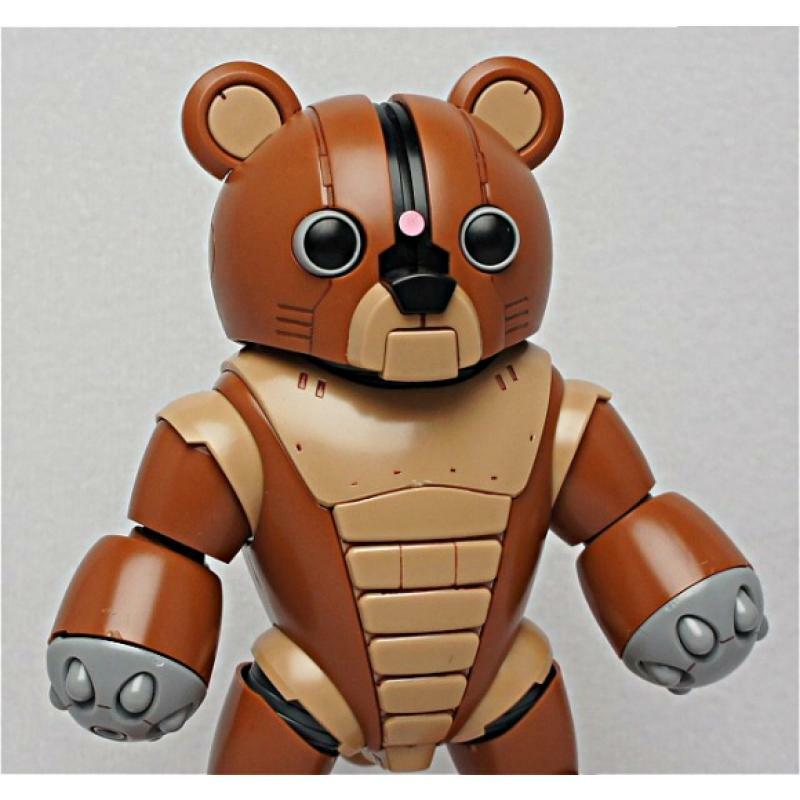 The next kit in the Gunpla Builders line is Rina Noyama's adorable Beargguy. 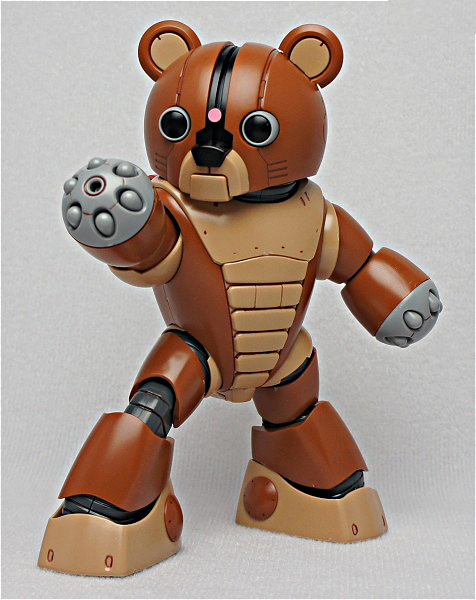 This little fella comes molded in color and snap fits together so you don't need glue or paint. Extra parts to make an extendable arm are included as well as marking stickers for the eyes.